Over the summer of 2016 I had the chance to go out with a team of people on a mission to Ecuador from Fulwood Free Methodist Church and a family from our church. This was my first time away from my family and also abroad. In 2000, Ecuador went through an economic crisis that brought serious financial hardships to many Ecuadorians. Oscar noted an increase in the number of beggars at the gate of the church he was attending and this weighed heavy on his heart. As Christians we are called to reach out to the poor, starting with those who live right around us. One day while Oscar was leaving church, he met Juan Alpapucho, a 12-year-old shoe shine boy who approached him asking to shine his shoes for a quarter. He agreed and while he was getting his shoes shined, the Lord spoke to Oscar showing him that He had given Oscar so much, an education, a good job, but that here at his feet sat a poor boy who was just trying to make enough money to eat that day. Oscar suddenly felt very ashamed. Oscar invited him to breakfast at a nearby bakery. Juan first refused to enter, saying the clerk would chase him out as street children aren’t allowed to enter the shop, but they walked in together and for fifty cents, Juan had breakfast. Oscar promised him a Bible if he came next week. Juan did come and brought three buddies with him! Once again, they all headed down to the bakery and as they got their bread, one of them prayed for Oscar and thanked God for his kindness in buying them bread, and something happened in Oscar’s heart. He knew the Lord was asking him to reach out to the poor. He approached his church board asking for help in starting a feeding program for the area’s poorest on Sunday mornings. He was given time in the pulpit to ask for volunteers. Ten people from different business and missionary backgrounds responded to his request. On February 4th, 2001, Pan de Vida held its first meeting in the driveway of a missionary. They served a simple meal of scrambled eggs and ham, rice, a banana, and a piece of bread and glass of milk. They sang some songs and shared a Bible message. 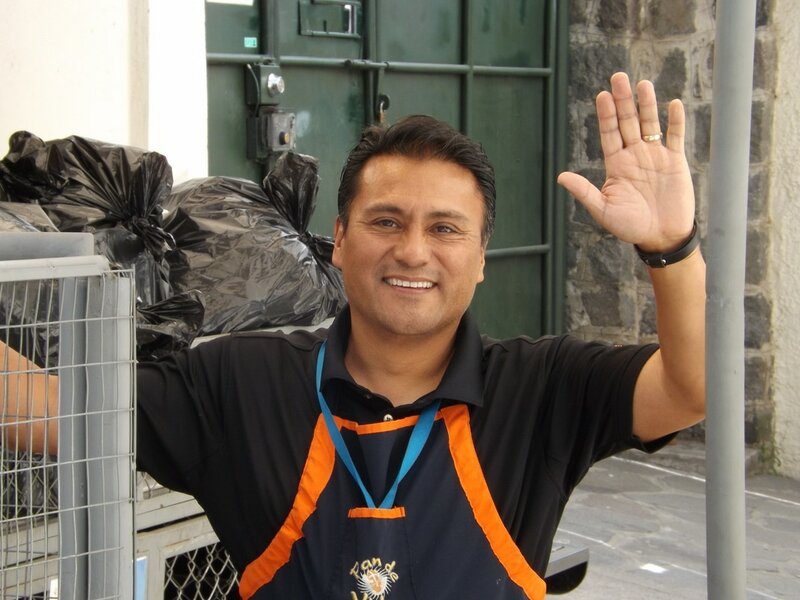 Today, Pan de Vida has grown to serve over 1600 persons on a monthly basis through a hot meal, the Word of God, medical assistance, a micro business program, and much more. We have seen the impact the Word of God has made on hundreds of lives, some of our families have even been able to “graduate” from our program as they have turned their lives around, found employment, and no longer needed the assistance as before.